Why Do We Transcribe Jazz Solos? Charlie Parker famously learned Lester Young’s tenor sax solos on “Lady Be Good” and “Shoeshine Boy” early in his development. 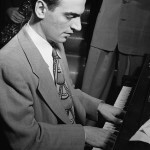 The pianist, composer, and jazz educator Lennie Tristano based a significant amount of his curriculum around transcription, selecting swing and bebop solos for his students to transcribe as early as 1948. Lester Young, Billie Holiday, Charlie Parker, Fats Navarro, and Bud Powell are just a few of the artists Tristano required his students to study. Jazz vocabulary is largely transferred aurally, through recordings and live performances. In addition to melodic and harmonic vocabulary, many of the important stylistic nuances of jazz performance practice cannot be accurately notated on paper: time-feel, tone, the wide-range of articulations. Group interaction is incredibly important in influencing the impact of a solo. Hearing how a rhythm section suggests new ideas to the soloist and reacts to a soloist is just as an important as the notes of the solo itself. Select a solo that you are excited to learn but does not seem too far out of reach technically. It is important to create realistic goals to prevent you from becoming discouraged and giving up on the transcription. Find a solo that is not too long. There is no need for your first transcription to be seven choruses of rhythm changes. Besides taking more time to finish, a longer solo will probably contain too much information to digest! Plenty can be learned by transcribing a simple one- or two-bar phrase. If this is your first attempt at transcription, select a recording that uses a common harmonic progression, such as a twelve-bar blues, rhythm changes, or well-known jazz standard. An important component of jazz transcription is understanding the relationship between a melody and the underpinning chord progression. Working with a known progression helps make your goal of completing the transcription more attainable. Just because you have a lead sheet of a song does not mean that the recording you are studying is in the notated key, or that the musicians are using the same chords found on the lead sheet. One of the wonderful lessons to be learned from transcribing is the personal approach that every ensemble takes to interpreting a chord progression. Harmony can be stated by the rhythm section consistently or change chorus to chorus. Listen to the bass and harmony instrument (piano/guitar) and compare the chords stated with the soloists interpretation. Know the era of the recording and performers. Have some idea of the stylistic considerations associated with the performers. Transcribing a Miles Davis’ solo with Charlie Parker from 1946 will serve a different purpose compared to a Miles Davis solo from Live at the Plugged Nickel (1965). A lot of helpful information can be learned by reading artist interviews, album reviews and liner notes related to the recording you are transcribing. By reading the liner notes to an Adam Rogers album, the artist said his reharmonization of the standard “Night and Day” was influenced by an earlier Joe Henderson recording. The album was guitar, bass, and drums and did not have a supporting harmonic instrument while the guitar soloed. However, the original Joe Henderson album was a traditional quartet with a piano. Hearing Henderson’s version helped me better understand the chord progression on the Rogers recording. There is a lot to be learned from transcribing the improvisations of musicians who play instruments that are different than your own. If you are new to transcribing and/or jazz improvisation, you may want to start by selecting a solo that is performed on your instrument. Ghost notes, bends, false fingerings, and simple performance mistakes can often easily be interpreted by a transcriber who is intimately familiar with the performance nuances of the instrument being transcribed. What is the time signature(s)? What is the form of the tune? What are the rhythmic nuances of the solo? Do not over-analyze or over-notate rhythmic ideas that are not intended to be too complex. Trying to accurately notate a jazz musician who is playing eighth notes “behind the beat” will not be helpful to notate. Do not be afraid to ask, “Is the performer thinking ‘I am playing a complex rhythm of 32nd notes,’ or are they thinking, ‘I am playing slightly behind the pulse’?” How would this influence your notation and, ultimately, what you will learn from the experience of transcribing this solo? What is the pitch content of the solo? Is it generally diatonic, chromatic, harmonic, bluesy, classical, inside, outside? These descriptions will probably change depending on what part of the solo you are working on but will help make you make educated guesses when working on finding the correct pitches. Now that you have figured out the notes, how should you practice the solo? Sing it! Before allowing his students to perform a transcription on their instrument, Tristano would require that his students be able to sing the entire solo, note-for-note. It is easy to think of a transcription as merely a technical exercise. Although being able to play phrases and ideas beyond our technical comfort zone is beneficial, it is important to think of a transcription as not merely a technical exercise, but as a method by which we can develop the ability to play what we hear in our heads as we improvise (the ability to hear music in one’s mind is called audiation). If we can recreate the melodic and rhythmic ideas of a transcribed solo away from our instrument (proved through the act of singing), then we have developed a far deeper connection to the solo and expanded our internal musical vocabulary beyond our chosen instrument. By singing the solo, the vocabulary learned from the act of transcribing will occur naturally in our improvising, compared with the “insert lick here” approach which often results in a musical statement unrelated to the moment. Play it! Develop the ability to comfortably play the solo on your instrument from memory. Focus on matching all of the stylistic ideas discussed earlier (time-feel, articulation, phrasing, dynamics, etc). Then, after you have spent a significant amount of time listening to the soloist, perform the solo listening to the rhythm section on the recording. Play the solo as if you were responding to the musical contributions of the rhythm section. This will help you prepare for future improvisations within a group by training you to listen, react, and communicate with your fellow musicians – all staples of a great jazz group. Analyze it! Take time to try and get inside the head of the improviser. Why do the melodies work against the harmonic progression? What does the performer play to engage the rhythm section? What substitutions are they suggesting? Whatever questions you have about jazz improvisation, the answers can often be found in a single solo by a great jazz soloist. As your understanding of the music and improvisational process grows, so do the nuances that can be learned from a solo. Move the melody to different octaves and/or try different fingerings. Transpose the ideas to new keys. Move an idea from C major to Eb major. Apply the melody to a different song. This may mean using a transposition of the melody. Work on flowing into the idea as well as out of it with other phrases firmly established in your vocabulary. This test is often the best indicator of how comfortable you are with the phrase. Transpose melodies diatonically. What would happen if the melody started on the 3rd of a chord instead of the root and maintained the same shape and internal intervals? Displace the melody by an 8th note, half-note, etc. While this seems like a lot to do with an entire solo, the creativity you apply in modifying transcribed melodies will help you develop your own unique improvisational voice while still being firmly rooted in the jazz tradition. Your ability to understand and synthesize the information from a solo is more important than your ability to notate the ideas. Do not hold the notation process higher than learning and understanding the solo. Look at a transcription like a crossword puzzle. This idea comes from David Roitstein at CalArts and I find is incredibly helpful. Do not have a single difficult phrase in a solo prevent you from completing your transcription. Skip over the difficult portion of the transcription and continue working on easier phrases. Much like a crossword puzzle, information discovered later in the process can shed light on difficult passages that occur earlier in the solo. Use transcription software correctly. Prior to the invention of tempo reduction software, many jazz musicians played back records at slower speeds to better understand complex melodic phrases (using this method, the transcriber would have to account for a change in pitch). Over-reliance on slow-down software over an extended period of time will not allow your ears to develop. Your ultimate goal is the ability to hear phrases performed on the bandstand and to immediately know what they are. Make sure to eventually wean off of slow-down software. Do not rely on the pitch recognition function in transcription software. Always use your ears. How do artists from other disciplines study the works of previous masters? All artists have to deal with their place in history. How might the approach of a painter you admire influence your own development as a jazz musician? 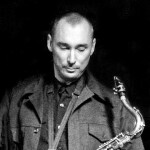 Matt Otto's jazz educational blog.